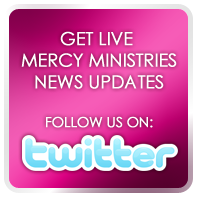 Mercy Ministries News: Mercy Ministries’ expansion to the West Coast is fully underway! Mercy Ministries’ expansion to the West Coast is fully underway! The fourth Mercy Ministries home in the United States is under construction outside Sacramento, California. This 22,000 square foot, 40-bed home will serve young women facing life-controlling issues such as eating disorders, self-harm, addictions and abuse. It is beautifully situated in a newly developed residential community with a neighborhood park across the street. Mercy Ministries was given a piece of land worth $1.5 million to build the new home in the Sacramento area. In addition, the same donor, Buzz Oates, has given $2.5 million towards the approximate $4 million needed for the entire project. We are believing that God will help us build this home debt-free! Currently there are over 700 girls in the application process to Mercy Ministries, and we are working hard toward opening the Sacramento home by the end of this year. It is important that Mercy Ministries have a presence in California and continue to spread the message that each young woman is valued and has a hope for the future. Would you consider giving a financial gift to Mercy Ministries to help us finish building the Sacramento home debt free and provide a place that hurting young women can receive hope and healing free of charge? The Sacramento home will be a wonderful place of safety for girls to come receive the help they need! For more information about the Sacramento home please contact Selah Hirsch by email shirsch@mercyministries.com or phone (636) 326-2015. To give towards finishing the building of this home, and furnishing it beautifully for each girl to feel the true value and worth she deserves please visit https://www.mercyministries.org/HowToHelp/Donate.aspx. In addition, we need monthly partners to keep our ministry strong and to make help available for many more girls. Click the following link to become a monthly partner.